Meditation is an old practice and popular method of applying focus and breathing techniques to relax and reduce stress. It involves training the mind to induce a state of consciousness that promotes a sense of serenity and increased concentration. Generally, stress kills and excessive stress is not good for your health. However, practicing a simple technique daily can help you decrease anxiety, control stress, improve the heart, boost the mood and realize a better measure of relaxation. This method is also known as relaxation response and initiated by Herbert Benson, a renowned American Physician and it is widely used by therapists globally as a help for the treatment of indication relief in conditions as cancer, asthma, heart disease, insomnia, and migraine. It helps you to handle tension, lowers blood pressure by making the body less responsive to stress hormones, improves heartbeat, reduces metabolism, boosts your emotional health by increasing your self-awareness and decreasing negative feelings and negative thoughts. 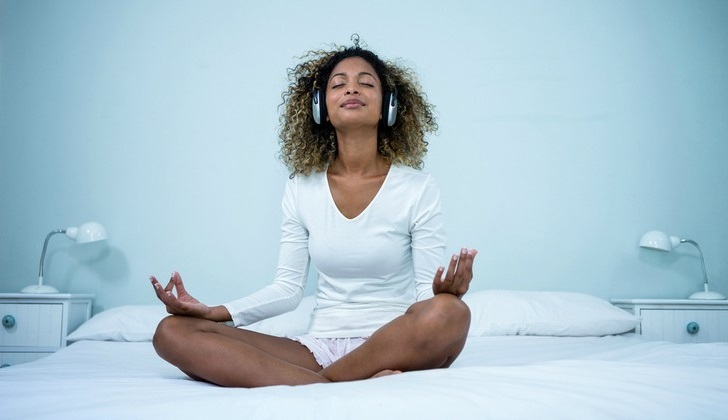 Research at the University of Western Australia established that meditation increases fertility in women and also increases their chance to conceive during periods when they are relaxed and not stressed. Furthermore, Premenstrual syndrome (PMS) and breastfeeding problems can be improved when women meditate regularly. In one of their studies, Premenstrual Syndrome (PMS) symptoms dwindled by 58% when women meditated and hot flashes were less intense among women who were meditating. On the other hand, new mothers who meditated on images of milk flowing from their breasts were able to increase their production of milk. Researchers have also established that sleepy people who meditated for 40 minutes performed well on an examination of mental alertness than others who had taken a 40-minute nap.